Every year Windy City Poker Championship gives amateur and Chicago area players a chance to raise money for local charities while playing against poker champions and celebrities on television for a large first place prize package! In 2011….Meg Bertini won a seat to the $1,500 winner takes all TV table for only $70. Meg had a chance to play against Bustout Poker Model Nikki Griffith, Paul Fisher from Danley’s Garage, CSN-Chicago’s David Kaplan, Celebrity Richard Roeper, and professional players Chad Brown, Faraz Jaka, Rick Rahim, Nick Brancato, and Jerry Yang! This year…we have stepped up the buy-in…and opened up the lineup to more amateur players and qualifiers. We also have some new professionals at the table who are looking to take down this fantastic event. WSOP Main Event champion Jerry Yang, and WLS-890am Radio Host Richard Roeper. New players at the table include the 2003 WSOP Main Event champion Chris Moneymaker, professional poker player Aaron Massey who has see a lot of success on the tournament circuit in the past two years, and finally 2010 Windy City Poker Championship Main event Champion Michael Sabbia. This leaves 3 seats for amateur players who can qualify or win their way into the $3k TV Sit-N-Go. The winner of this 50 player max satellite (minimum 13 participants) will receive a seat into the $3,000 televised event on April 21st, 2013 at 1pm. In order to participate in this satellite via a direct buy in of $300, you must be a participating sponsor of the charity poker events, or a WPT Boot Camp alumni/current student. If you are neither a sponsor or alumni…you can win an entry into the 8pm satellite via one of the (10 available) $70 SNG qualifiers that will run all day on Thursday April 18th, 2013. The winner of these SNG qualifiers will win a $300 entry to the 8pm satellite and be eligible to win the satellite and the $3,000 seat to the TV table. The $70 SNG qualifiers will be on a first come, first served basis. There is no limit to the # of $70 SNG qualifiers you can participate in to try and win a seat to the 8pm satellite. Players can NOT win multiple $300 entries to the 8pm satellite. If a player were to win more than one $70 SNG qualifier, the $300 in entry funds will be applied as a prize. The funds will be awarded as tournament credits for other events during the 4 days of charity poker from April 18th-21st 2013. The $70 SNG qualifiers and the $300 8pm satellite will not award cash. They will only award prizes and or seats into tournaments held during April 18th-21st, 2013. Want to try and win a seat at the televised $3,000 SNG but are not a WPT Boot Camp participant or Alumni? Here is your chance to qualify to participate in the 8pm multi table satellite. Only 10 general seats are available for the Thursday 8pm $300 satellite. Win any one of the SNG’s and receive an entry into the 8pm event and have a chance to win a seat to the $3,000 televised SNG. These are a prizes only tournament. Prizes and second chance qualifier entries awarded for 2nd place. Limited seats are available. Come early and play in a fun and friendly low buy-in early bird tournament. Start with 3,000 chips with 12 minute levels. This tournament will include promotions and an at break low priced $10 add-on for an additional 8,000 chips (20 big blinds). For those of you who want a moderately priced tournament can participate in our 4pm multi table tournament. Start with 5,000 chips with 15 minute levels. This tournament will include promotions and an at break low priced $20 add-on for 12,000 chips (20 big blinds). It’s time for some deep stacked No Limit Hold’em. Come for our 6pm tournament which starts with 10,000 chips at 20 minute levels. This tournament will include promotions and an at break low priced $30 add-on for 12,000 chips (30 big blinds). Come early and play in a fun and friendly low buy-in early bird tournament. Start with 3,000 chips with 12 minute levels. This tournament will include high hand promotions. For those of you who want a moderately priced tournament can participate in our 4pm multi table tournament. 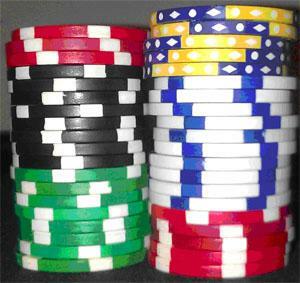 Start with 5,000 chips with 15 minute levels. This tournament will include high hand promotions. It’s time for some deep stacked No Limit Hold’em. Come for our 6pm tournament which starts with 10,000 chips at 20 minute levels. This tournament will include high hand promotions. n March 31st the Boys and Girls Clubs of Chicago are bringing you Chicago's best charity event of the season and Chicago's best structured charitable poker tournament, and here's your opportunity to play for free! Chicago Poker Club and Windy City Poker Championship are sponsoring one free tournament entry to this great event. To enter, simply go to the Chicago Poker Club Facebook fan page and become a fan. Then, "share" the latest post linking interested Facebook users to the Chicago Poker Open Website. On Monday, March 28 we will randomly select one winner, and notify them via Facebook. Good luck!